An informative session on ‘Self-esteem’ was organized for the students of class 10th of Bhavan’s Vidyalaya, Chandigarh. 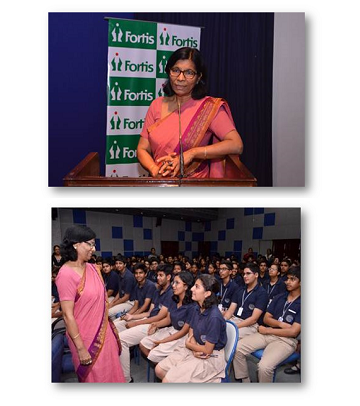 Dr Savita Malhotra, Empanelled Consultant, was the keynote speaker. She enlightened the students about self-esteem, difference between high and low self-esteem and techniques to overcome low self-esteem. More than 145 students attended this session.